Diamond Grip Ceramic Travel Tumbler - 14 oz. Unique custom tumblers give them something to talk about! 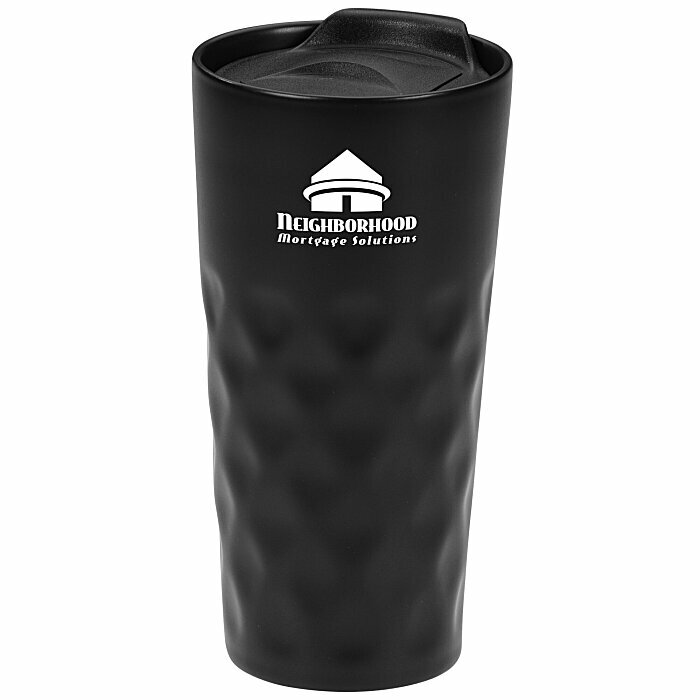 Made of ceramic, this travel tumbler features a unique diamond design grip area for easy, comfortable holding. Double wall construction helps maintain your drink’s temperature longer. 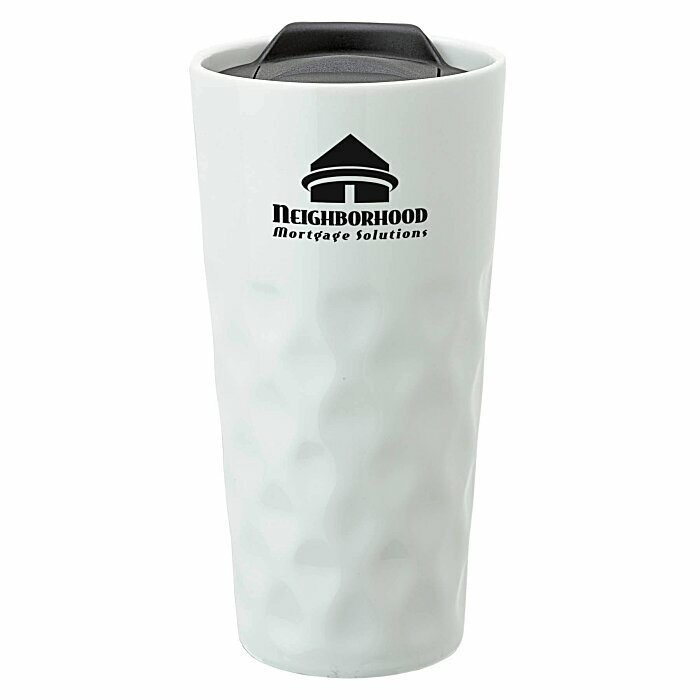 High gloss white or matte black finish gives the tumbler a sophisticated look. Features a push-on polypropylene slider lid for easy drinking. Great for coffee, tea, hot chocolate or even water! 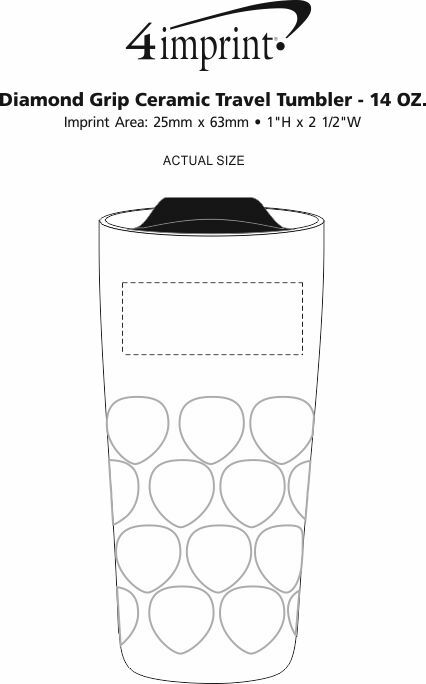 Size: holds 414 mL (14-oz). Your price includes a one-colour imprint on one side of the tumbler.